In a series of new commercials showing extraordinary people doing extraordinary things, one of which aired during the Oscars, Cadillac uses the phrase “dare greatly.” In the context of the car company, it means trying something outside of the luxury market norm. Like inventing the XT5. Arriving in stores in April, the XT5 is an all-new crossover—the first in a series of utility vehicles eventually donning the XT badge. 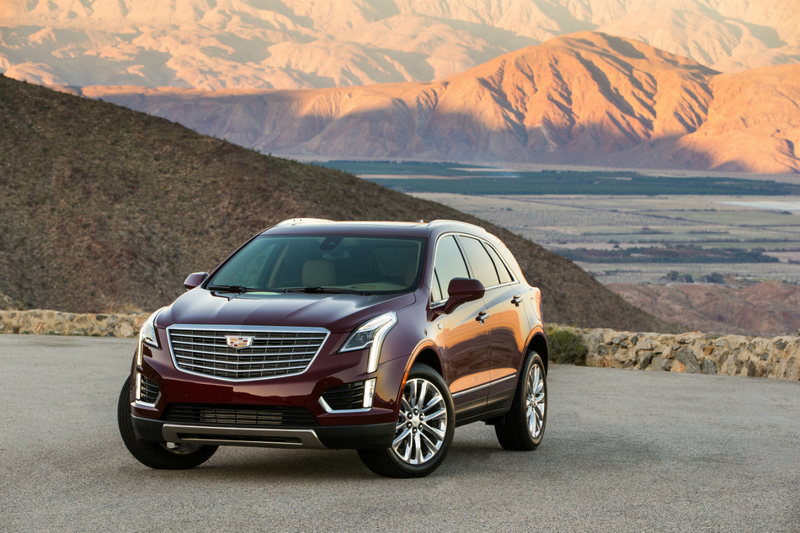 The XT5 replaces the outgoing SRX, and comparing the two side-by-side, it’s quite evident the body panels on the former are much curvier and more elegant. Although the profile looks lengthier than the SRX due to a wheelbase that is 51 millimetres longer, the overall dimensions are actually smaller, contributing to a sportier form. The boxy headlights have been nixed in favour of sharper units that have an integrated vertical LED daytime running light strip that swoops down into the front bumper area, meeting the foglights underneath. 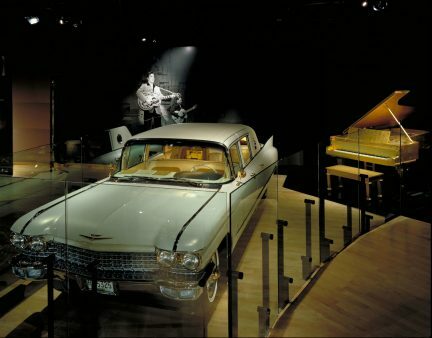 The grille is larger and houses a compact, modern-looking Cadillac emblem. Luxury is definitely a focal point for the exterior as well as the interior, designed around giving a feeling of open space. Dash and trim panels feature cut-and-sewn leather coverings in a wide variety of colour choices with tasty names like Maple Sugar. A Platinum edition is available, offering unique materials and exclusive equipment. 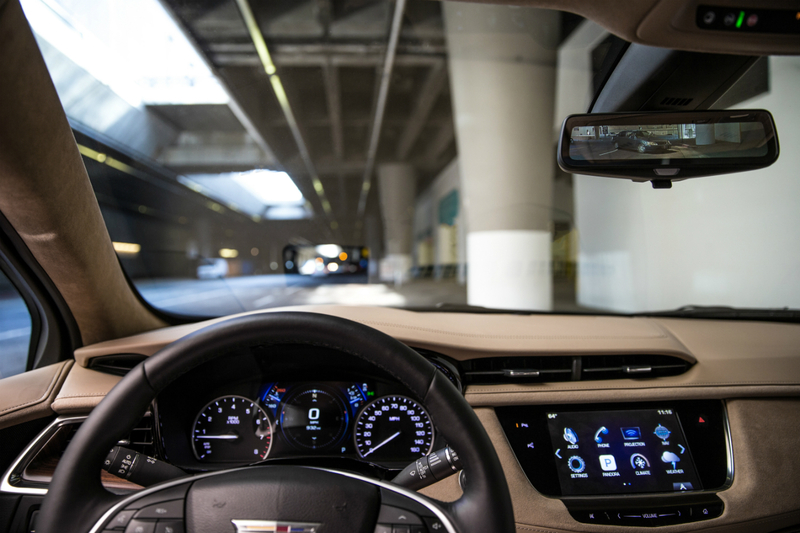 One of those pieces is the Cadillac Rear Camera Mirror, winning the Automobile Journalists Association 2016 Best New Safety Technology award. 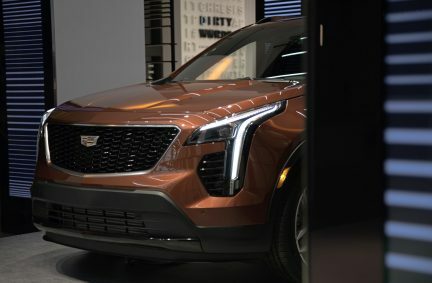 The mount hides a display behind glass, projecting a live image of what’s aft the vehicle minus the usual headrest and rear passenger obstructions, captured via a high-dynamic range camera mounted on the liftgate. 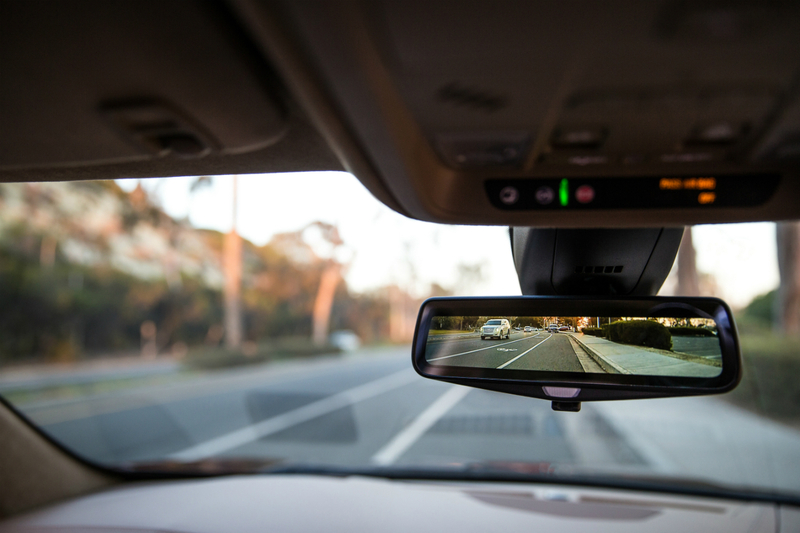 Thanks to the wide-angle lens, drivers get a view reportedly 300 per cent better than normal. The perspective does take a little getting used to, as like with side mirrors, objects are further than they appear. Fortunately, flipping a connected switch converts the unit to a conventional mirror. The XT5 is stiffer and a significant 132 kilograms lighter than its predecessor, the benefits mostly coming from applying laser welding techniques and ultra high-strength steel construction. 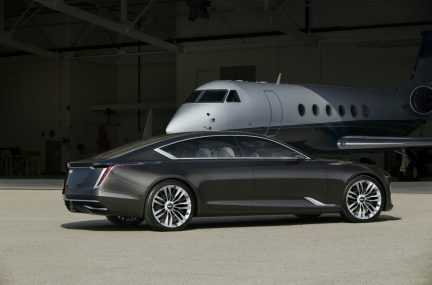 All trims run a 3.6-litre V6 engine, also powering the brand’s ATS and CTS sports sedans, producing 310 horsepower and 271 pound-feet of torque wrangled through an eight-speed automatic transmission. The gearbox is equipped with Electronic Precision Shift, representing the first application of an electronically controlled shifter for Cadillac, reducing noise and vibration and allowing the implementation of a handy storage compartment below the lever. Power delivery is sufficient, if not revolutionary, but paddle shifters discretely placed behind the steering wheel increases the fun level a bit. 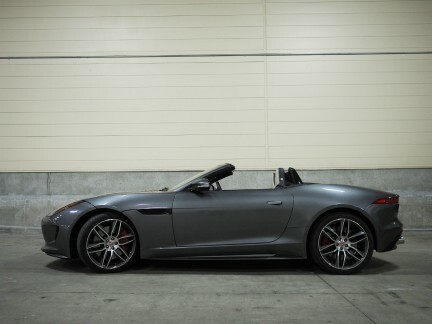 So do the exceptional handling characteristics, provided by the real-time dampening system and five-link rear suspension, manifesting on the windy canyon roads of San Diego County (witnessed by this writer firsthand). Front-wheel drive is standard and a twin-clutch all-wheel drive system is optional, capable of disconnecting the rear drive unit when extra traction isn’t needed in order to improve fuel efficiency and cut down on emissions. The fuel consumption numbers for a vehicle of its class is above average, rated at 11.1 litres per 100 kilometres for combined city and highway operation, and measured at a virtually identical 11.2 litres per 100 kilometres. 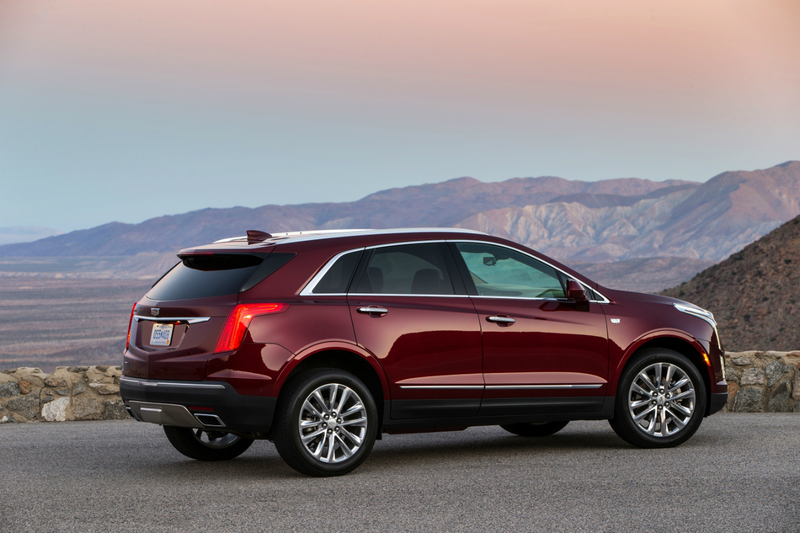 If the 2017 XT5 is a sign of things to come, keep daring greatly, Cadillac.